For more than 30 years, the annual Esri User Conference (Esri UC) has brought together thought leaders to share the latest innovations and applications in geographic information system (GIS) technology, which seems limited only by the imagination. Interest in GIS has grown exponentially over the years, which, in turn, has attracted more and more people with varying backgrounds and expertise to the Esri UC. As a result, attendees began demanding coinciding events specific to their particular areas of interest. 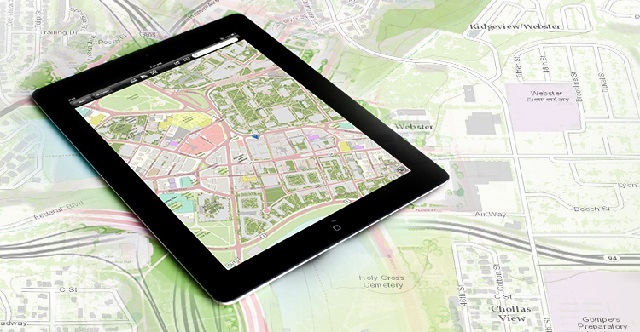 Esri’s mapping and statistics team will be staging two forums at the Esri UC this summer to meet the needs of users whose business is mapping and GIS data production. During the past four years, our 3D Mapping Forum has generated increased interest in 3D mapping and related technologies and effectively helped grow the market. Today, there is greater demand for accurate and up-to-date 3D mapping data as its value becomes more apparent in wide-ranging industries—national and local government, national security, infrastructure, natural disaster response, and many others. Because of this, the forum brings together people from many different areas, both private and governmental, that recognize the need for 3D mapping. Some mapping organizations want to know if they can just extend their existing 2D maps into the 3D world. Others want to learn how to capture and maintain 3D data from imagery that’s taken from multiple perspectives, such as Lidar or photogrammetry. These organizations also want to know how to create dynamic 3D information products. This year, forum attendees will learn how 3D mapping is evolving and how they can address their customers’ needs and requirements. They will also hear how their peers are implementing 3D mapping and what Esri is doing to provide some of the technology to enable 3D mapping and analysis. Presenters will include a senior officer from the American Society of Photogrammetry and Remote Sensing, who will be talking about emerging standards in 3D imagery. We’ll explore the role of unmanned aerial vehicles for 3D data collection and the part 3D data plays in developing smart cities with Esri CityEngine and other components of the ArcGIS Platform. We will also have breakout sessions that look at multiscale mapping from global to local and indoor levels. This forum is open to everyone, and because there is a special government rate, we anticipate that quite a few people from government agencies, both federal and local, will attend. Formerly called the National Mapping Organization Forum, this invitation-only event has been broadened to include chief executive officers and their senior managers from a number of areas including statistics, surveying, cadastral, land records, and national mapping organizations. This refocus reflects changes in the industry and will promote greater synergy among participants. At the National GIS Executive Forum (NGEF), we will be discussing the trends in these large mapping organizations and how their roles are evolving as the providers of foundational geospatial data and mapping information products. CEOs from various organizations will discuss their challenges, and we will have a panel discussion with them as well as other industry leaders. The NGEF Plenary Session on Saturday will bring together all the CEOs and their senior executives for our keynote presentations, roundtable discussions, and panel discussion. On Sunday, the senior executives will attend a senior executive seminar to discuss, among other topics, what foundational information is critical to national governments for 3D mapping. The remaining attendees will join breakout sessions divided by national mapping, land administration, statistical, and maritime organizations and discuss the key issues and challenges in each of those areas. A social event on Saturday evening will be a great opportunity for senior executives and their managers to network and build rapport and relationships with members of other mapping organizations around the world. I hope that you will join us.